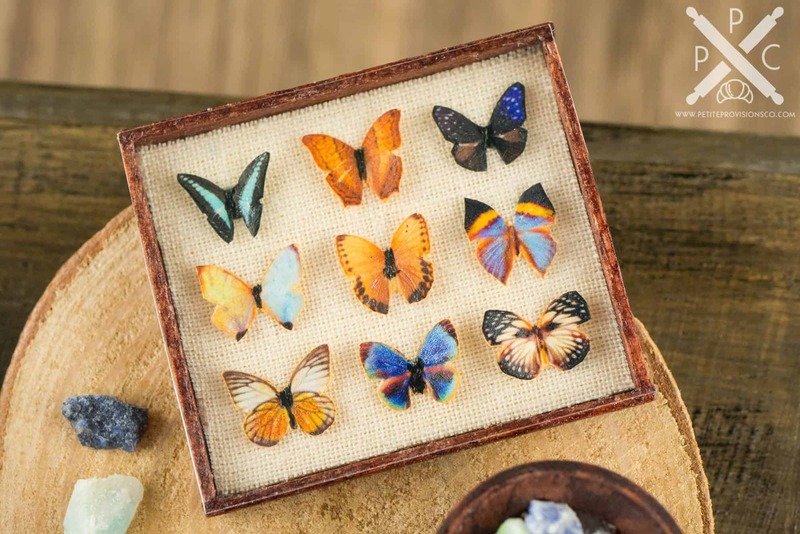 Dollhouse Miniature The Butterfly Collector - Butterfly Specimen Shadow Box and Rock Collection - 1:12 Dollhouse Miniature - The Petite Provisions Co. 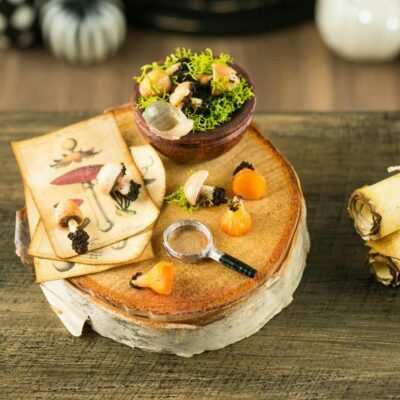 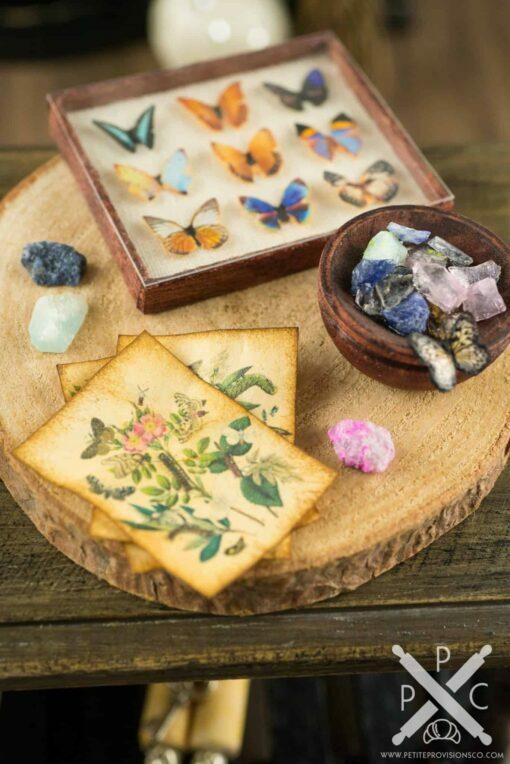 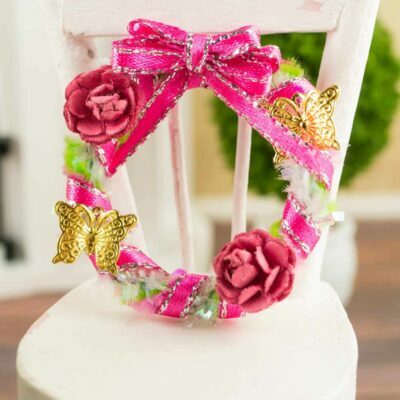 This charming miniature collection is called The Butterfly Collector! 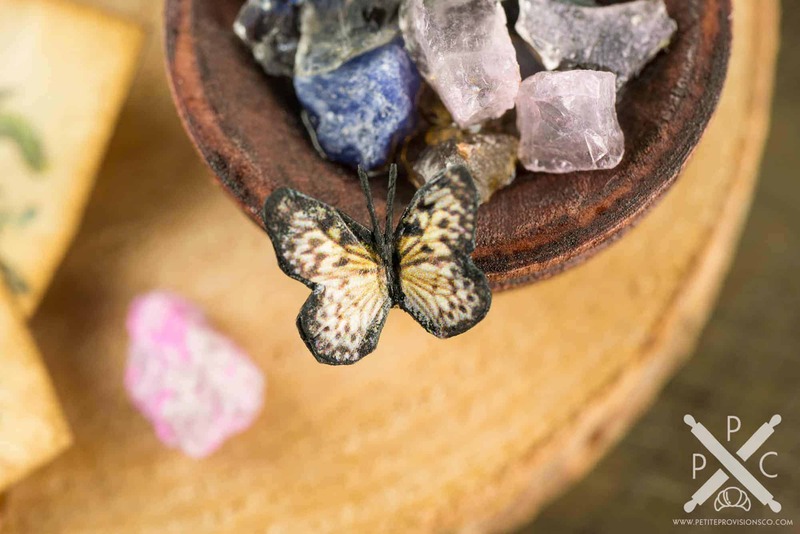 The Butterfly Collector is a true nature lover, observing and carefully cataloging each new butterfly species he discovers. This collection includes dainty butterfly specimens in a wooden shadowbox, a rock collection in a wooden bowl with a butterfly perched on the edge, and vintage illustrations of butterfly species. 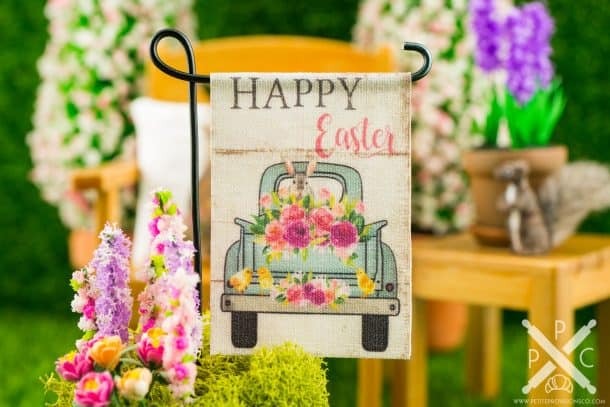 Whether you have a dollhouse or just love all things tiny, this wee decoration is too cute to resist and absolutely perfect for your mini study or conservatory! 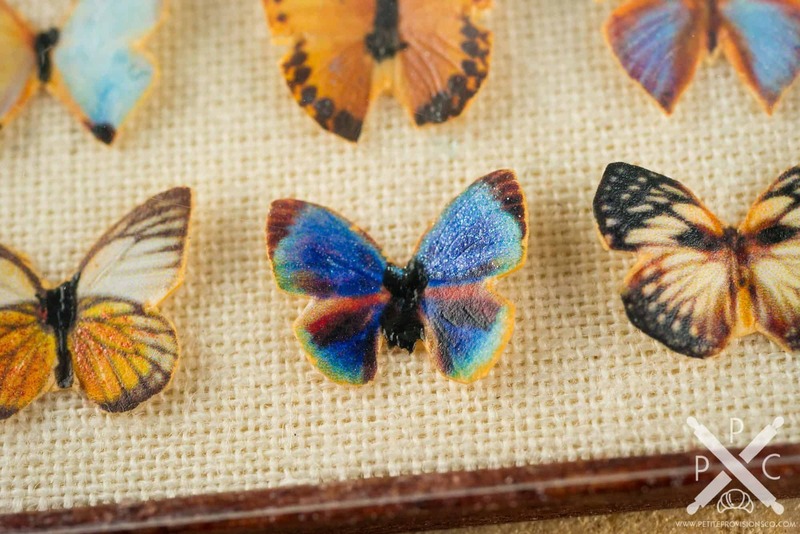 The Butterfly Collector is displayed on a real wooden slab. 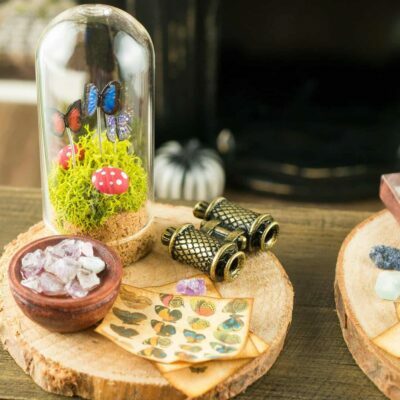 The realistic natural details include a handmade wooden shadowbox filled with 9 different hand-cut paper butterflies, a rock collection (real chips of semiprecious stones like amethyst, etc.) 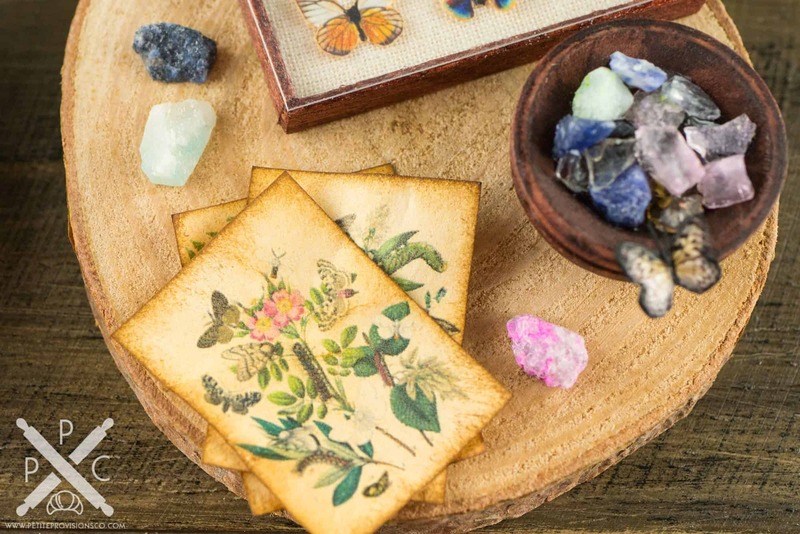 in a wooden bowl with another hand-cut paper butterfly perched on the edge, 3 vintage botanical illustrations of butterflies, and little chunks of semiprecious stones.